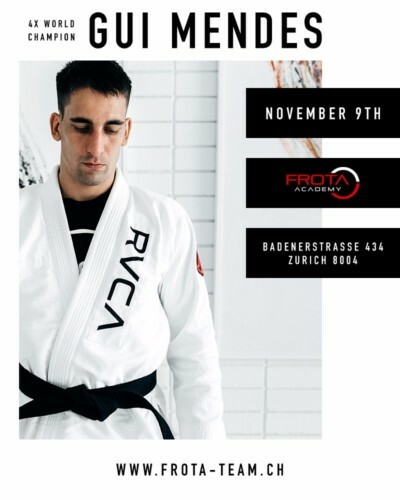 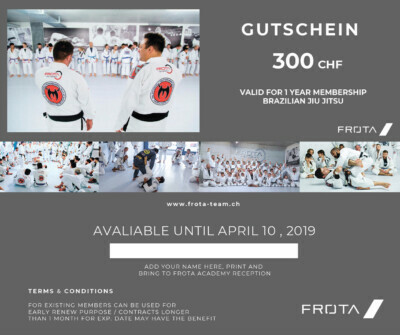 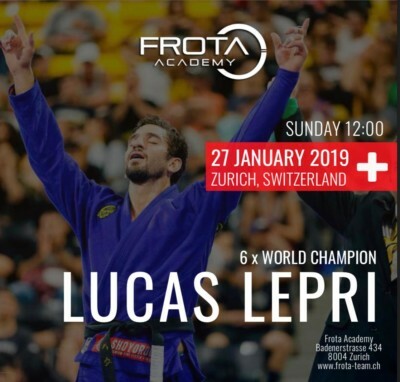 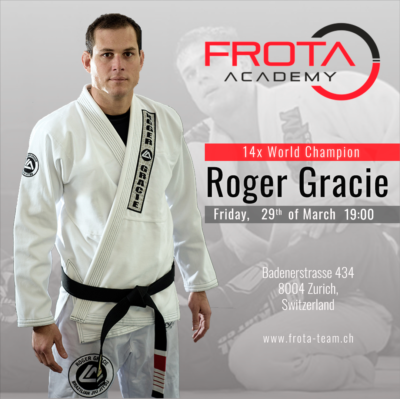 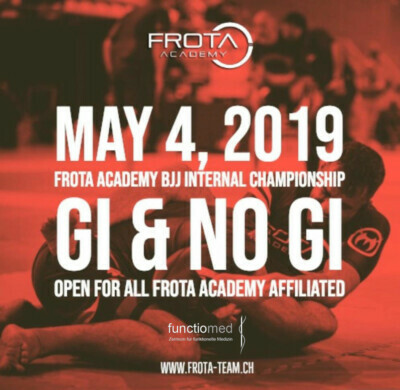 FROTA ACADEMY GIFT CARD Don't miss the opportunity to get 300 CHF discount for 1 year BJJ subscription! 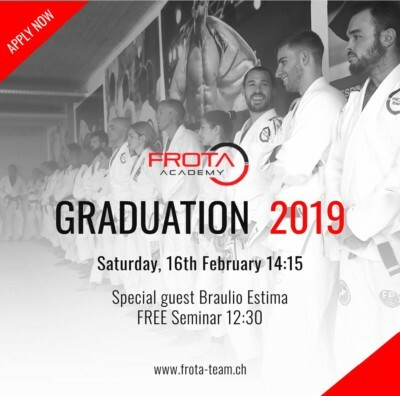 Just print the card, fill your name and bring to Frota Academy reception. 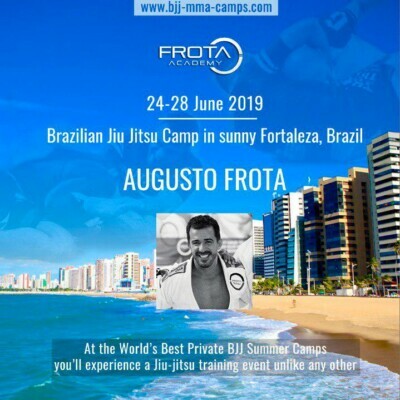 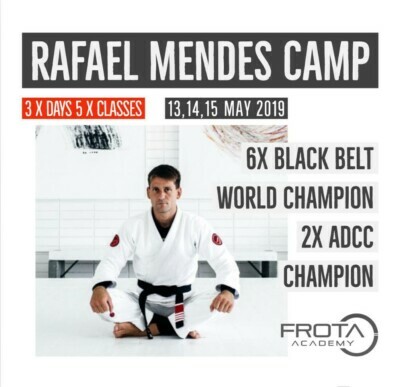 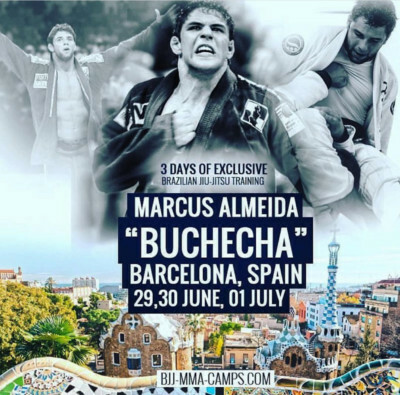 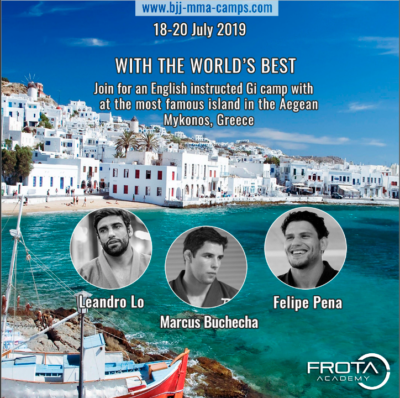 Rafael Mendes Brazilian Jiu Jitsu Camp 13-15 May, 2019 The 3 days of Brazilian Jiu Jitsu Camp (5 classes) training with “the king of the featherweight division” Rafael Mendes Godoy in Frota Academy, Zurich.